You definitely don’t need a recruitment agency to help you hire new staff, right? In fact, you don’t even like recruiters – they’re a waste of your time, they cost too much money, and you’d rather just avoid them altogether. But stop for a moment and consider this – how much of your own time are you spending on your recruitment? And do you really know what you’re looking for, or how to find it? Hands up those who have recruited the wrong person into a role, only for them to leave shortly after because they didn’t quite fit the bill? 65% of recruiters have noted that skills shortages for niche roles is the biggest blocker to finding the right candidates – are you looking in the right places? The average time to fill an agency-based role is 42 days – do you really have that time to spare? 83% of business leaders consider talent to be their key priority in their business – so why wouldn’t you have the experts take care of this for you? 52% of SMEs have struggled with using traditional recruiters in the past – so why not consider a boutique agency like Nine Twenty instead? NT Assured Solutions is a boutique recruitment agency run by Laura Armstrong. We’re based in Glasgow and serving the specialist technology sector throughout Scotland. We pride ourselves on our partnership approach with our clients, and tailor our offering to each one to provide a truly bespoke service. We consider recruitment to be an art. We’re not just the middle-man between a company and a candidate, we’re highly skilled in the marketplace, enabling us to show value by getting to know your business inside and out, and finding you the right employee that fits not just your skillset requirements, but your company culture and ethos. We believe that a cookie-cutter approach to finding job applicants doesn't fit into the current workplace of, remote and flexible working, skills shortages, and an increasing emphasis on work-life balance. Boutique agencies like us thrive on getting to know their clients inside and out, understanding their business, and culture, for a hiring fit that not only reflects key talents and skills, but also cultural drive. After all, 60% of companies believe that cultural fit is crucial to any hire. You need to make sure that the person you hire isn’t just someone you can see building profits for your business – but someone you’d be happy to go for a beer with, or ask for advice from. A truly bespoke service – we take your business goals and strategy and build a plan to suit you. No out-the-box packages here, just a service that matched exactly what you need, when you need it. Plus we grow with you, so if your business plans change, we’ll do the same! Specialist Experience – our consultants are experts in their field, and that makes them experts at finding the talent that you need, whether it’s a Java Developer or a Software Architect. We know the market and who’s working in it, inside out. A Streamlined process – boutique means small, and it also means a personalised service. You’ll have a named account manager on hand at all times to look after your every recruitment need, which means you can get on with your own job and we can do ours – and quickly. Do you need to recruit your recruiter? 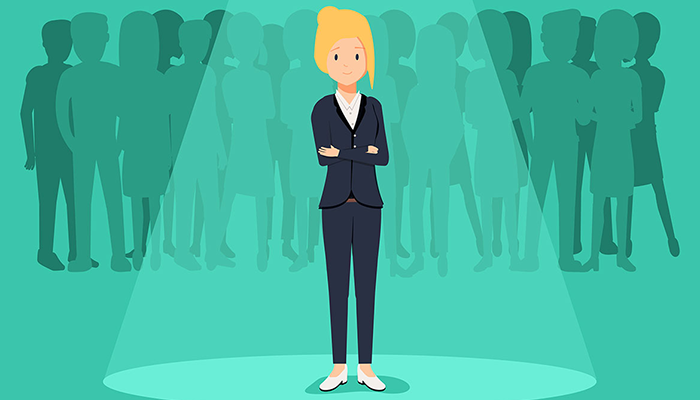 When you choose a recruiter to work with your business, you are in essence recruiting yourself – you are picking a spokesperson for your brand. So who do you want to be your brands’ spokesperson? And what messages are they relaying about you and your brand? Bear in mind, if you are using multiple companies to recruit, they could be sharing multiple messages about you that don’t portray your business in the best light. Is boutique the right avenue for you? We have to be honest, we know that NT Assured Solutions isn’t for everyone. Sometimes a traditional recruiter is the way forward. To work with us successfully, we need businesses that are willing to look beyond traditional recruitment methods – companies that thrive by building close partnerships and are open to change, flexibility and our innovative use of technology. Does that sound like something you want to be part of? Then get in touch with Laura today.